The University of Oxford’s Bodleian Libraries hosts possibly the largest exhibition of the works of J.R.R. Tolkien from June until October 2018. 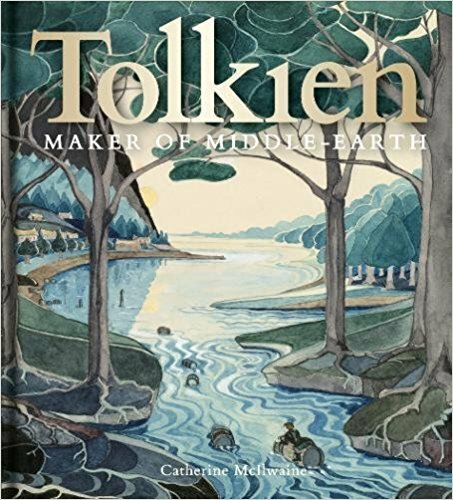 This incredibly impressive tome put together by Catherine McIlwaine, the Tolkien Archivist at the Bodleian Library, outdoes any work on Tolkien that came before, documenting the creative process behind The Hobbit, The Lord of the Rings and The Silmarillion including many personal photos and private papers, many of which have never been printed before. The book opens with 6 essays, JRR Tolkien: A Biographical Sketch by McIlwaine herself, Tolkien and the Inklings by John Garth, Faerie: Tolkien’s Perilous Land by Verlyn Flieger, Inventing Elvish by Carl F. Hostetter, Tolkien and ‘that noble northern spirit’ by Tom Shippey and Tolkien’s Visual Art by Wayne G. Hammond and Christina Scull. These alone are worth the price of admission, with beautiful sketches and copies of Tolkien’s original Elvish writing. Beyond that is the catalogue itself. The first chapter, Reading Tolkien, a number of letters to Tolkien, including a charming letter from a 19 year old Terry Pratchett. The following chapters cover titles Childhood, Student Days, Sheer Invention, The Silmarillion, The Professor’s Study, The Hobbit, The Lord of the Rings and of special interest to me, Mapping The Lord of the Rings with a huge selection of hand-drawn maps and original sketches showing the development of areas such as Shire, Rohan, Gondor, Mirkwood and Mordor. 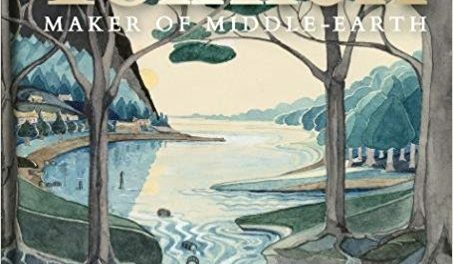 The level of detail is astounding and it’s hard to imagine that any book about Tolkien could go further than this tome. Overall, this book is a must-have for any Tolkien fan and would look beautiful on anyone’s coffee table. The exhibition itself is taking place at THE WESTON LIBRARY, OXFORD 1 JUNE – 28 OCTOBER 2018 and more information can be found here.